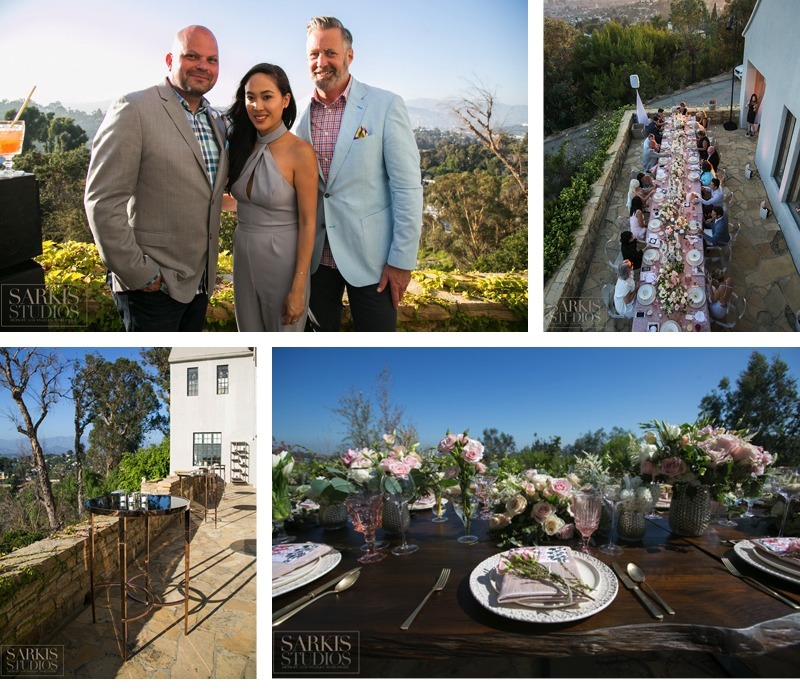 High above Los Angeles special event influencers gathered around a table set for a feast at The Garbutt Mansion. The host, Trish Peng, had set the stage with an interior design softly washed in grays and silvers. A double-sectioned Catalina sofa in brushed velvet stood on either side of the room. Large windows looked out at the tawny hills of Los Angeles. If you didn’t know better you’d think you were in the French or Italian countryside. It was the perfect vibe for Peng’s global brand. Peng, a wedding dress designer with high-end clients in both Los Angeles and New Zealand was dressed in elegant gray. A timeless look she designed. A model dressed in Peng’s latest collection floated through the guests and posed for photos while a violinist performed. 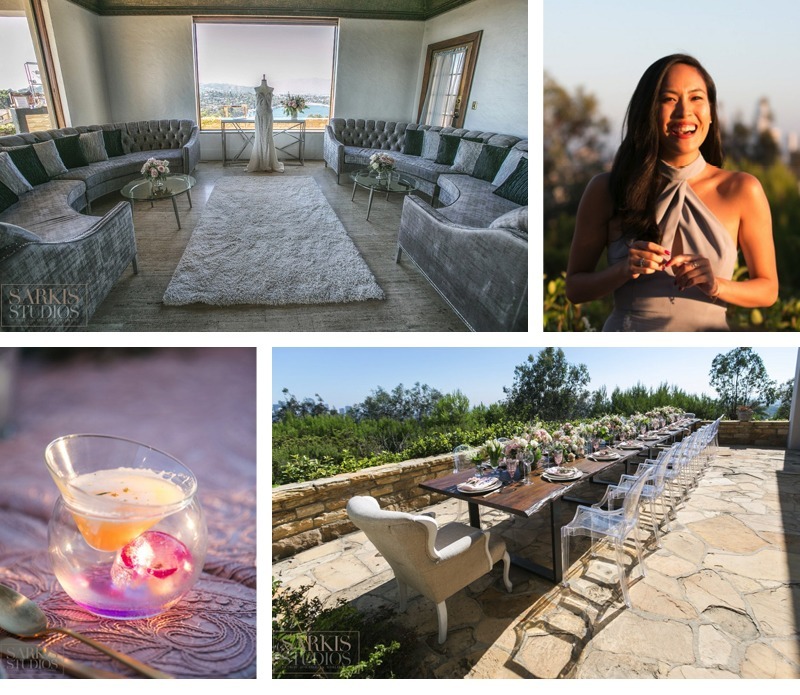 During cocktails, guests enjoyed each others company while admiring views of the city from the stone balconies of this beautiful mansion. When it came time everyone sat down at long communal table for dinner served by Good Gracious! Events. A 96-foot-long AFR Tahoe Table lent a contemporary design. During the day it was a showcase in rich wood with rough hewn edges for flowers by Butterfly Floral. The look was perfect for that of a country villa. 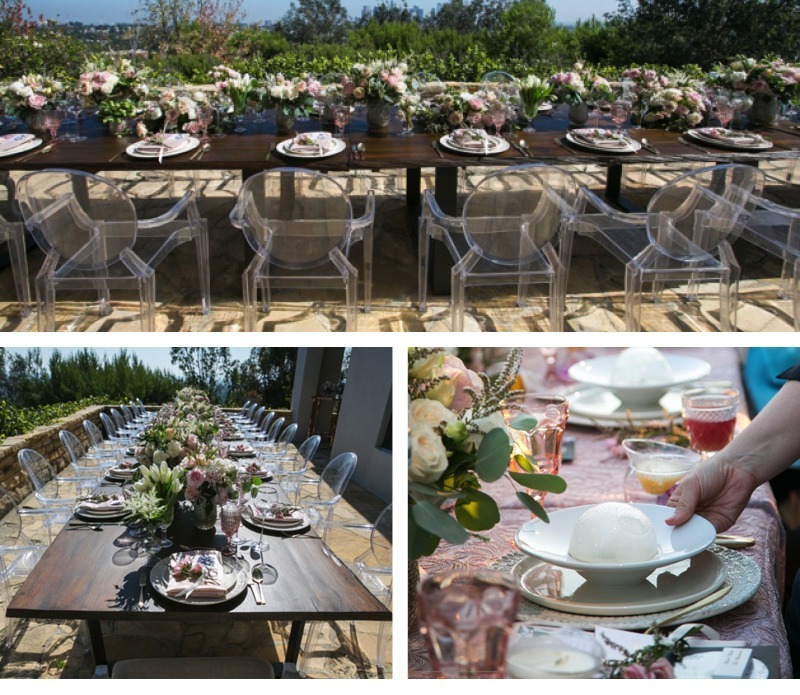 At dinner Luxe Linen added a rose-colored piece which was elaborately embroidered. That classic look meshed perfectly with the vintage china Peng had chosen from Borrowed & Blue for dinner while chairs of clear acrylic ensured that the focus was on the table. The creative menu got guests talking about how the first course of a smoked corn soup was dramatically presented with a smoking dome which was removed before each guest and it was no surprise that silence fell over the group as everyone savored dessert – a pillowy summer pavlova with perfectly ripe stone fruit. Soon, everyone was talking again over after-dinner drinks. From start to finish, the evening was perfectly in vogue and, like our host, beautiful inside and out.